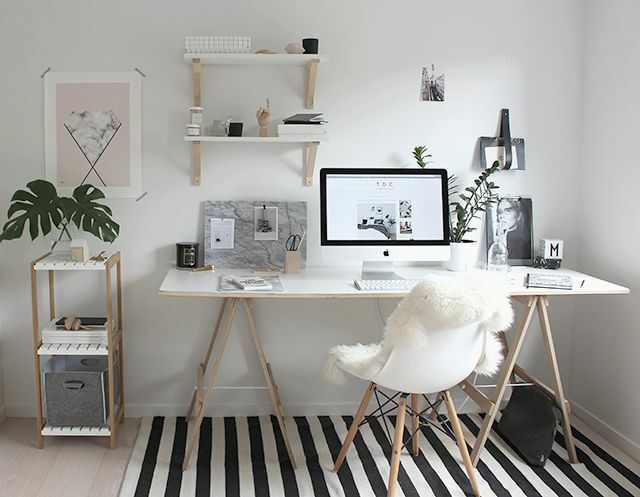 Let’s talk about home offices in teeny tiny spaces! As someone who works from home, I know that a well-organized workstation is essential to get work done. But if space is an issue? Is it possible to create a work friendly – not to mention, stylish – space even in a microapartment or studio? Here’s the thing, you don’t need an entire room for a home office. The beauty of working from home is that your workspace is more flexible than a traditional office cubicle. 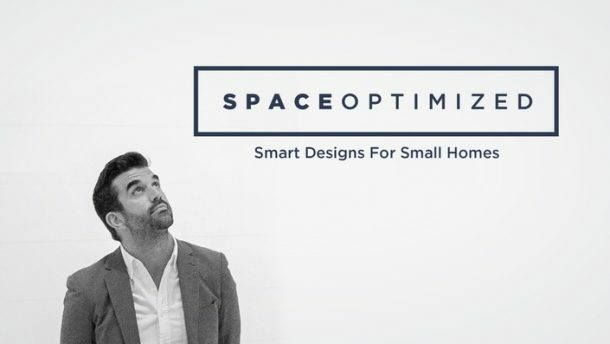 Any spare space in your tiny home could be turned into a workstation! You need key pieces when building a home office. 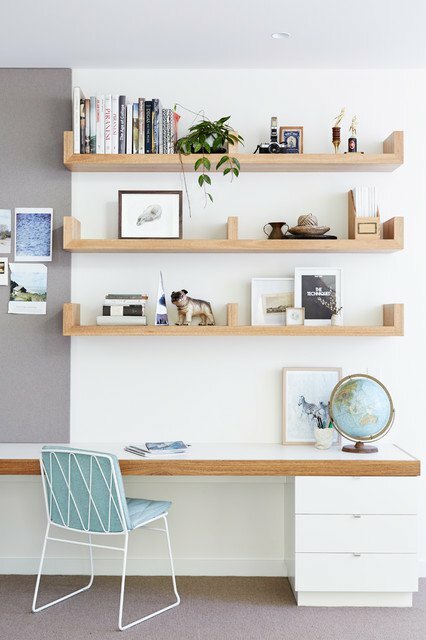 A desk, a chair, a small filing cabinet or several bins are just a few of the essential things you need to transform any free space into a workstation. Now, if you’ve got only a sliver of space to spare, invest on sleek, compact, and multipurpose pieces of furniture to maximize every square footage of space. Bulky pieces of furniture will only eat up what little space you’ve got. 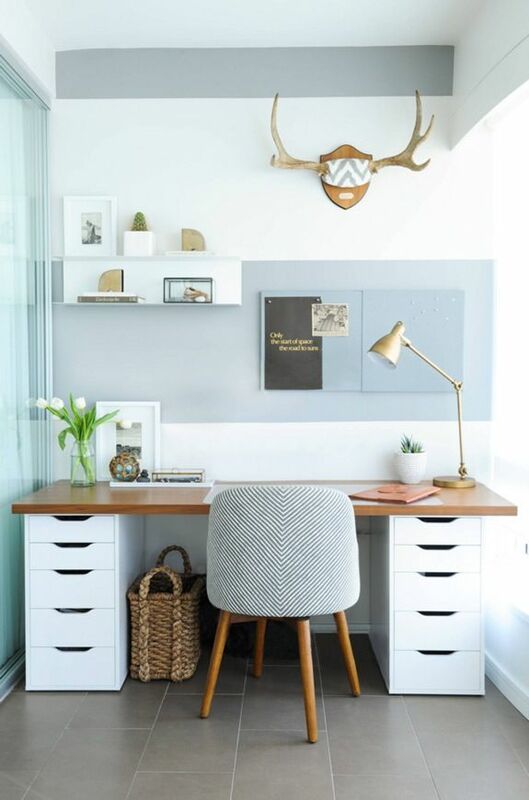 A desk that folds away when not needed, wall-mounted cabinets, and a sleek chair are just a few things you need to create a stylish home office. 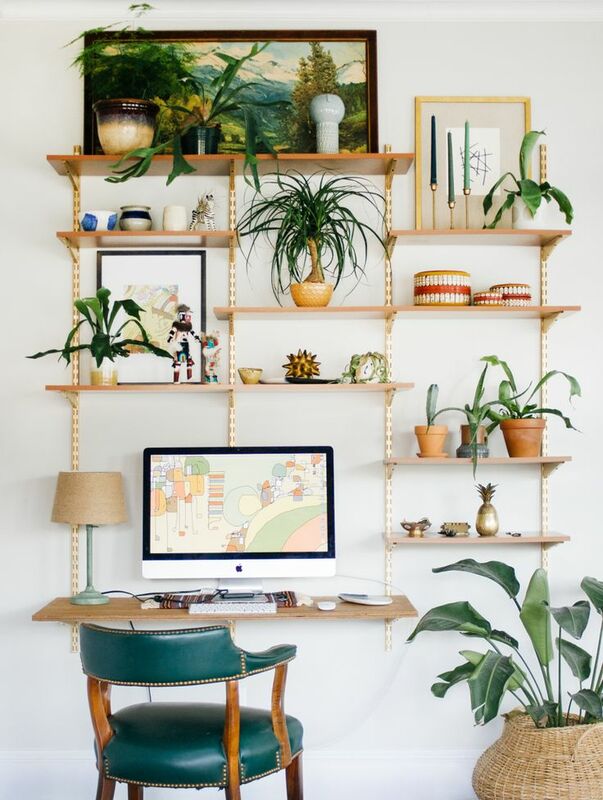 Adding a couple of floating shelves above a desk frees more room for your work essentials! 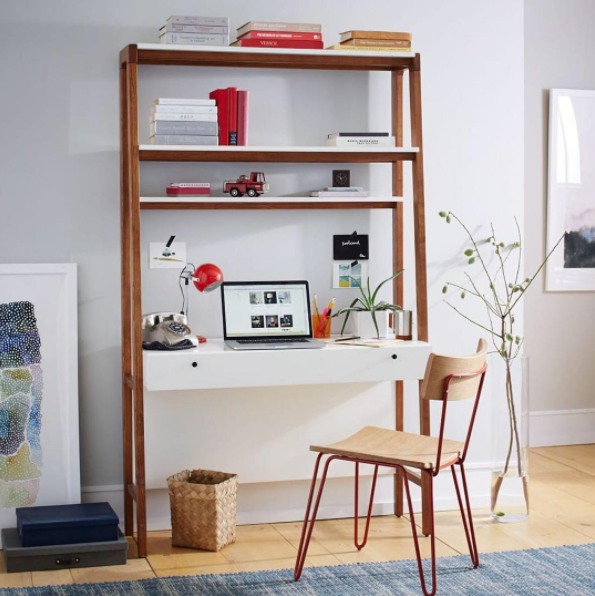 When shopping for home office furniture, go for sleek and compact pieces. Ikea, Amazon, Expand Furniture and West Elm has loads of multipurpose and space-saving pieces of furniture that’ll suit a microapartment. Got a naked corner in your microapartment? You can style that unused space into a modest workstation. 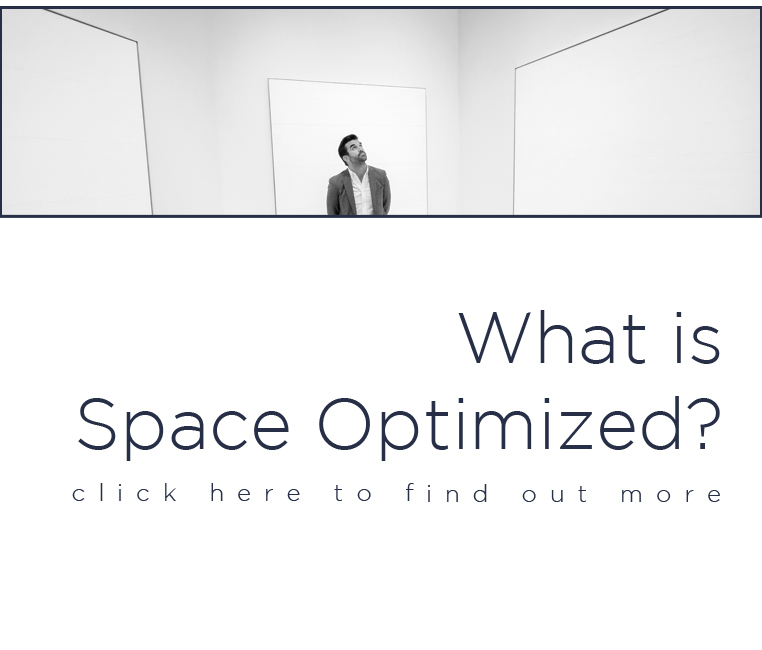 The space under the stairs, a large empty wardrobe, the blank space between the living room and the kitchen, stairway landing space, etc., all these spaces can accommodate a workstation. All you need is a table, a chair and a couple of office accessories to maximize these underutilized spots. Personally, I prefer setting my home office in a spot with a view; it’s a nice little nook that gets the creative juice flowing without burning out. 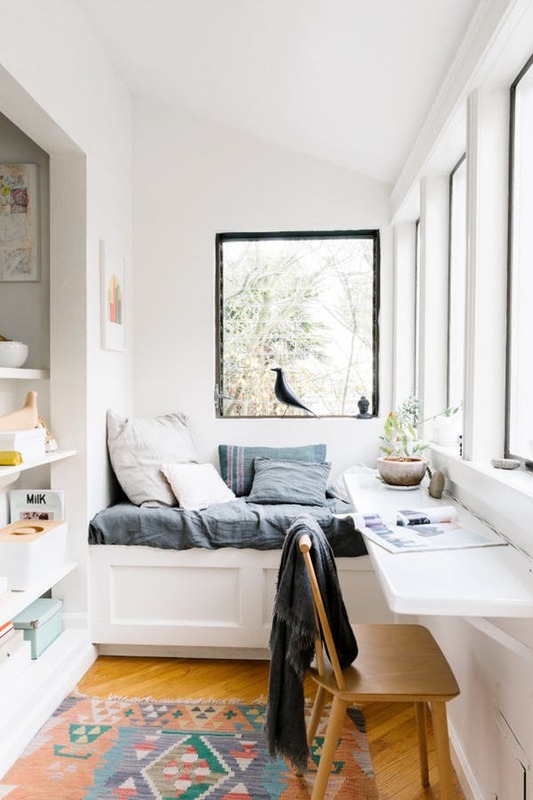 If you feel the same way, dress this space with a petite office desk, a chair or maybe a small bookcase by the corner to dress this space into a cozy home office. As far as styling goes, keep the furniture in sync with existing pieces for a seamless look. You want to make sure that all the decorative elements – furniture finishes, color palette, office accessories – complement each other to define your workstation. Crisp, clean lines and sleek furnishings give a sense of roominess. If you want to create a functional yet stylish home office, always consider the visual load of the pieces of furniture. These design details contribute to the visual story of your personal style. 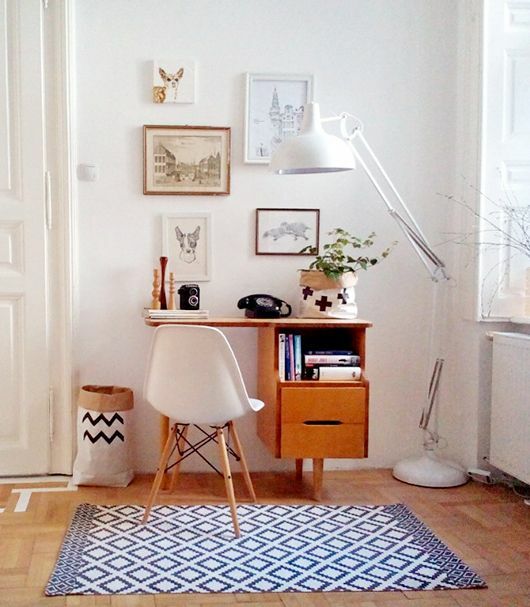 Compact, minimalist pieces of furniture and office accessories won’t overwhelm a small space. That said, sleek and minimalist designs do not mean bland and plain. Create distinction and highlight the work zone with bold accents! 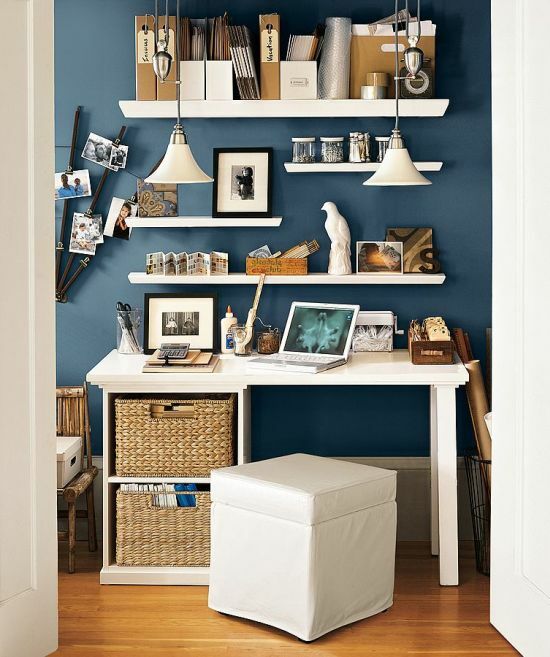 Introducing a little color to a monochromatic home office adds personality to the workstation. A splash of teal or the subtle shimmer of gold make the perfect accent colors to the sleek workstations seen in the pictures above. 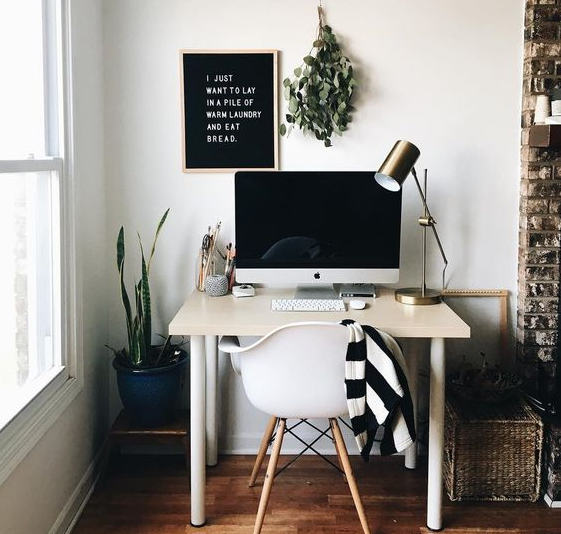 If you’re shopping for office accessories, color-coordinated accent lamps, seating and storage are just a few of the things you could use to dress your work zone. Squeezing in a workstation into a microapartment is easy but how about extra storage space for your office essentials? 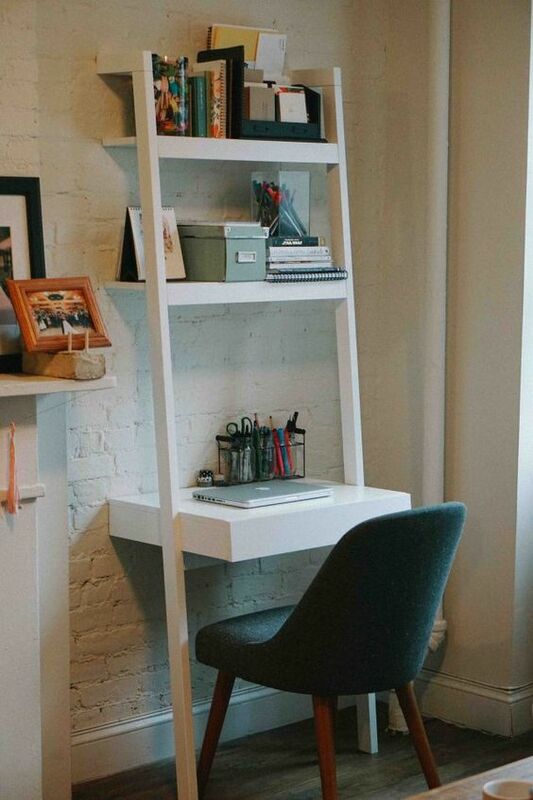 If you can spare a few inches of space for your desk, you have enough space for shelves and bins. The naked wall above the desk and the sliver of space under it could be used to pump up the storage space. 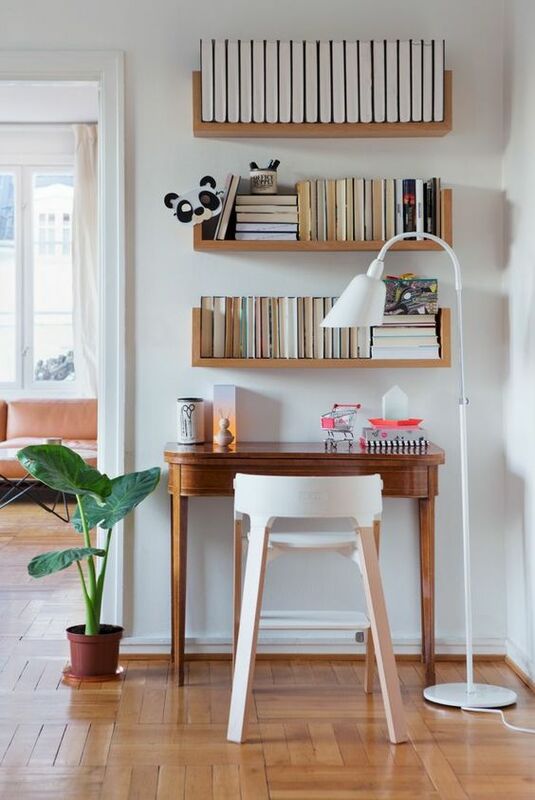 We love open shelves for these types of spaces because they are practical, functional yet sleek and stylish. Side drawers – like the hugely popular Alex drawer units by Ikea – are so useful for teeny tiny workstations too. Add storage bins, office organizers, and other accessories on the shelves and you have a fabulous-looking home apartment with lots of room to spare! The problem with clutter is that it starts small and it always ends up taking over a room. It’s tempting to fill such a stylish space with junk but don’t. You want an organized and stylish workstation, one that gets the creative juice going. A chaotic working environment will only get in the way of a great idea. Keep all surfaces clean and neat. If you can, tone down the accessories for a minimalist home office. Do not litter the space with items that aren’t all that helpful when you’re working. When you’re done for the day, always take a few extra minutes to clear out the clutter.